Buffalo native Kyle Jemmott is pursuing a bachelor of science degree in computer science with a certificate in data intensive computing at the University at Buffalo. He works as an undergraduate teaching assistant in the UB Department of Computer Science and Engineering. 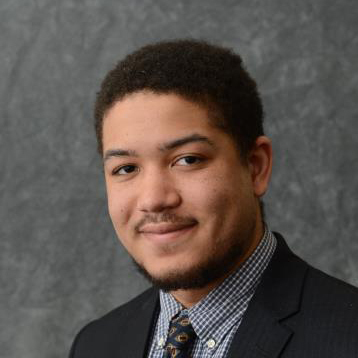 On campus, he represents the Daniel Acker Scholars Program and Advanced Honors Scholars Program though active participation in the Association for Computing Machinery, and serves as treasurer for the National Society of Black Engineers. During the summer of 2014, he worked as a summer analyst in Goldman Sachs’ technology division. During Spring 2015, Kyle completed an internship with Employii, a payroll and HR tool for organizations. Kyle enjoys good company, hiking, reading, and film, and plans to pursue an MS and MBA in the future.